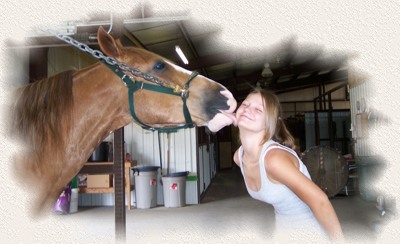 "We Love Our Horses and They Love Us!" Ruff Acres Ranch is located in the Ozark Mountains of North Arkansas just two miles outside the beautiful city of Harrison. Harrison is just 35 miles south of Branson, Missouri on US 65. Tommy and Peggy Ruff are the owners of Ruff Acres Ranch. Their philosophy for the Foxtrotter's Horse Breed is simple; protect the gait and breed only the finest bloodlines in the breed with the purest studs for personality, performance and beauty. "We enjoy going to the Foxtrotter Horse shows, however, God did not create the most perfect horse on earth to ride around in circles. He created the Missouri Foxtrotter to perform in the show ring, to work on the ranch and to give their owners a fantastic ride on the trail." With Bloodlines from the "Missouri Traveler E.", "Southern Jazz", "Sundust E.", "Toddy's Perfection", "Mr. President", "Lady Anne", "Lady Bay C", "Zane Grey", "Golden Governor", "Southern Sunrise", "Charming Lad", "Sensation" and "Patriot", one cannot get any better bloodlines for great horses. We are very excited and proud of the brood mares we have assembled. We believe the mare contributes at least 75% to the foal. So, to build a quality horse, one must start with a quality mare and we have our "Fantastic Bunch". You have to see them to appreciate them! Standing at stud is "Traveler's Intrepid A", a Reserve World Grand Champion stallion and is one of the few dapple grays sired by the immortal Missouri Traveler E. Intrepid is a maternal brother to two-time World Champion Cardinal Gunslinger A. and his dam is a maternal sister to Pancho Villa A, the 1996 Performance World Grand Champion and 1999 Model Reserve World Grand Champion. Do you know that Traveler's Intrepid A's sire, Missouri Traveler E., has either sired or grandsired 15 World Grand Champions since 1982. No other stud has produced more winners in the foxtrotter breed. You just can't get any better than Missouri Traveler E. when it comes to performance and gait. Also standing at stud is Sun-Stroke, a beautiful chestnut, 16 hand stallion by Southern Sunrise and out of Dawn’s Sweet Sue. We welcome you to call or come to the beautiful Ozarks and visit our ranch. May the good Lord bless you and the trails you travel! What makes a Foxtrotting Horse?